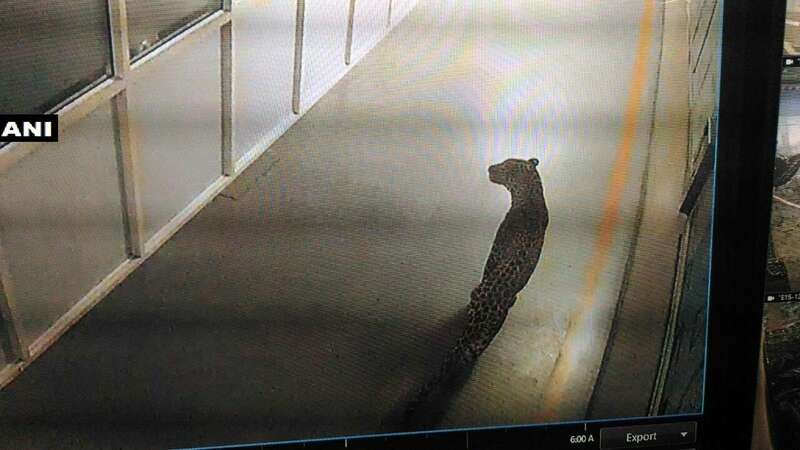 A leopard entered the Suzuki Powertrain plant in Haryana early on Thursday. Fearing an attack by the big cat the management halted production. The animal entered the premises of Suzuki Powertrain India Limited in sector 8 (Phase 1) of Tau Devilal Industrial Model Township (IMT) in Manesar on the Delhi-Jaipur-Mumbai national highway. A security guard of the factory spotted the leopard around 2.30 a.m. and raised an alarm. Production was stopped as workers came out of the factory fearing an attack. Suzuki Powertrain, spread over 750 acres in the foothills of the Aravali mountain range, makes diesel engines for Maruti Suzuki India Limited (MSIL) cars. It makes over 1,200 engines in a single shift. "A team of Wildlife and Forest Department were conducting a search exercise for the leopard. But there are too many huge machines in the factory and the leopard might hide under one of them," a forest officer told IANS. He said the leopard was also caught in the CCTV cameras installed at the factory. Over 2,000 workers and staff of the company were sitting outside the main gate of the factory.